More people between the ages of 18-30 are asking questions such as, “What should I do with my life?“ or “How do I know I’m on the right path?” Current society provides an abundance of opportunities; yet ironically all the options can produce anxiety, second-guessing, and insecurity about the future. And there are not many tools to help with this problem. Your twenties are fun and exciting, yet it can also be a time of frustration and ambiguity. Kind of an adult, but not really…trying to figure it out and make it work. You could even find yourself in the midst of The Twenties BeatDown™. If you relate—you’re not alone. 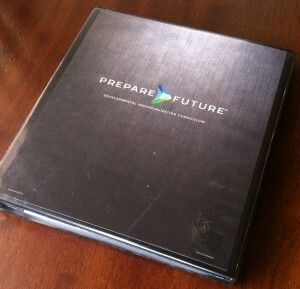 Prepare a Future℠ is a program I began developing in 2005 to help young adults with these exact issues. This curriculum was formed out of scholarly theory and my experience with the hundreds of young adults I’ve coached or mentored over the last decade. The primary objective for young adult development is individualization, which is the fancy social science term for someone figuring out who they are, what to do with their lives, and take productive action steps toward those aims. Developmental individualization helps someone lay a foundation for their future, grow in character, and build critical identity capital necessary for success in a rapidly changing world–and perhaps more importantly, how to make a difference. Prepare a Future℠ is a developmental individualization coaching process to help someone identify where they want to go and those areas that might be holding them back. Those I work with consistently report feeling more clarity about who they are, what’s important to them, and being more aligned with a sense of purpose. Years later, they regularly report more confidence in their decisions and often reference success in their careers and relationships. Comments from two individuals I mentored in their early twenties now both nearing 30. Drew has been a mentor to me over the course of my career. As a mentor/coach, Drew worked with me to identify and define my values, and then helped me figure out how to make my career path align with those values, finding my “true north.” I would recommend Drew to anyone who is feeling “lost” in their job/career. Drew is great to talk to when in need of some advice and organization in life. I think back almost a decade ago to one of the most important conversations I had concerning all of my career options, including joining a family business. Without pushing me towards any of the individual scenarios, Drew asked the right questions so I could talk it through; I felt like I finally had the clarity I needed to make the right decision. The same questions and strategies we worked through are applicable to big decisions I make today. -Kurt Schron, Manager of Web Analytics at Ally Financial Inc.
 Côté, J. E. (2000). Arrested adulthood: The changing nature of maturity and identity. New York: New York University Press. Côté, J. E. and Levine, C. (2002). Identity formation, agency, and culture: a social psychological synthesis. Mahwah, NJ: Erlbaum.